The countdown to the 19th edition of the prestigious Canon South Africa Disabled Golf Open has begun. In less than a month, some of the world’s top golfers with disabilities will convene for the tournament at King David Mowbray Golf Club in Cape Town from the 15th to the 17th of May. The Canon South Africa Disabled Golf Open offers a platform for disabled golfers to pit their skills against some of the best in the world in a credible competition that has at its heart the goal to inspire and unite players with varying disabilities, and acknowledge their achievements. This year’s event boasts the most diverse field of entries since the inception of the competition by the South African Disabled Golf Association (SADGA) 19 years ago. Over 80 local and international golfers have confirmed their participation in the 2017 Canon South Africa Disabled Golf Open. Amongst the South Africans playing in the tournament are Byron Calvert, Herman Van Wyk, Ben Van Zyl, Rupert Fortmann and Reinard Schuhknecht. Travelling to South Africa to compete are Bob MacDermott (Canada); Martin Williams (Wales); Shaun Bakker (United Kingdom); George Mecs (France), Cian Arthurs (Ireland) and Manuel De Los Santos amongst others. 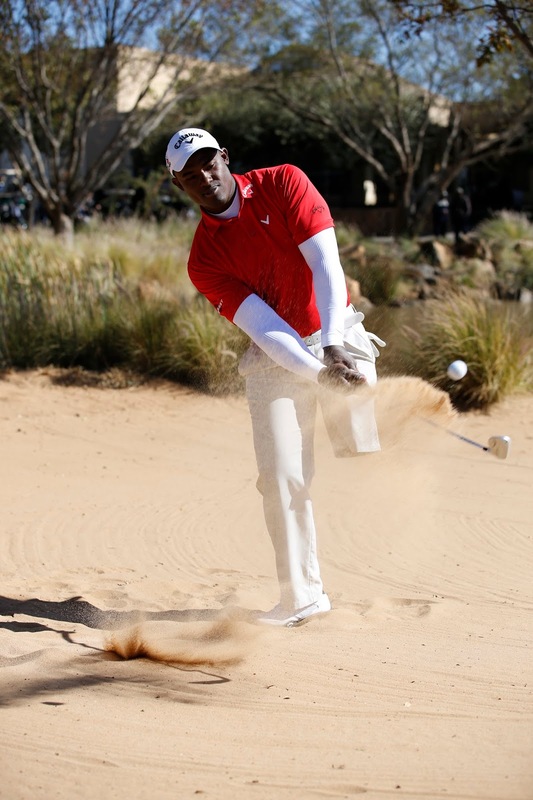 De Los Santos, a regular competitor in Canon South Africa’s annual insert name of tournament, hails from the Dominican Republic and since losing his leg in a vehicle accident in 2003, has won many international events for disabled golfers in Europe. In 2007, he became the first amputee to play in the French Golf Grand prix alongside high level able bodied Amateur golfers. These very talented golfers will convene for the Canon South Africa Disabled Golf Open at King David Mowbray Golf Club in Cape Town from the 15th to the 17th of May. South Africans have historically dominated the tournament, with Ben van Zyl winning the event from 1998 to 2003; Pieter Jansen in 2004; Nico Wentzel in 2008; Iglin Grobblaar in 2009 and 2010; and Daniel Slabbert from 2011 to 2013, and again in 2015. Hosted annually by SADGA and now sponsored by Canon South Africa, the tournament attracts the world’s top golfers with disabilities. In 2016, 30% of the field boasted single figure handicaps and more than half of the competitors have handicaps of 18 or lower. The maximum handicap for men and ladies is 36. Disabled golfers with handicaps of 18 and under will play 54 holes, medal stroke play while those with handicaps of between 19 and 36 will play 54 holes stableford. The overall Champion Golfer will be the player achieving the lowest cumulative gross score over the 54 holes. Deaf golfers with handicaps of 9 and under will play 54 holes medal stroke play while those with handicaps of 10 and over will play 54 holes stableford. The overall Deaf Champion Golfer will be the player achieving the lowest cumulative gross score over the 54 holes in the deaf division. “We are thrilled with the tremendous enthusiasm with which golfers from around the world have entered this year’s tournament. Competition will indeed be stiff, with some of the world’s very best golfers with disabilities competing. The field is extremely diverse, with players of all ages from around the world. We have competitors as young as 13 competing this year,” says Reinard Schuhknecht, Brand Ambassador for the 2017 Canon South African Disabled Golf Open and widely considered one of South Africa’s best disabled golfers.